Remanufactured ink cartridges better known as recycled ink cartridges are those ink cartridges made out of new and recycled components. This is done by remanufacturers who collect the empty ink cartridges clean and refill them while also replacing any parts that are damaged or not working properly. This finally gives these cartridges a better chance of working properly when inserted into a printer. In this field of remanufacturing ink cartridges so many concepts have been misunderstood. Many people in the printing business tend to know very little about this process. Here are some things you probably never knew about remanufactured ink cartridges. Did you know that when you purchase remanufactured ink cartridges you help in reducing environmental impact via shunning off the disposal of unnecessary metals and plastics? This is because the remanufacturer reuses the complete cartridge, for nature lovers and those who opt to go green recycled cartridges are the absolute option. Many people tend to think that recycled ink cartridges are just old refilled cartridges which is not, remanufacturers are very skilful when making these cartridges, they not only inspect each cartridge but they also repair the same. All microchips are replaced to ensure optimal performance of the cartridge while a test is run to ensure complete functionality before letting the product hit the shelves. Basically remanufactured cartridges are a lot better and more reliable than those customers refill themselves. Contrary to the perception out there remanufacturing companies don’t reuse old ink and toner. This is because the ink and toner tend to be contaminated during the printing process, therefore, remanufacturers make their own ink which is tailored to that specific brand and printer. Printer ink is thus neither combined nor recycled. Remanufactured ink cartridges tend to be of optimal performance. Lyra Research, Inc a Boston based research firm did some research where they concluded that almost 80% of the firms that switched to remanufactured cartridges found them to be of equal or better performance than original equipment manufacturer cartridges. Basically, this tends to be a scare tactic, this is because using compatible ink cartridges cannot legally void your warranty. It is also of great importance to deal with reputable re-manufacturers who will provide you with a full warranty of your product. This can cater for any unusual circumstances. Did you also know that, for instance, did you know that remanufactured ink cartridges are copyright protected and thus cannot be replicated by another manufacturer? The best thing about remanufactured ink cartridge is that you can purchase from the comfort of your home. 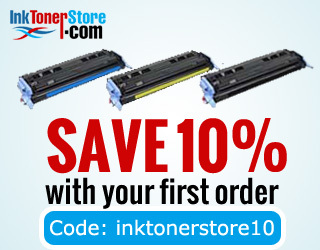 Inktoner store is committed to offering you the best deals online, visit our site today and get to see cutting-edge ink cartridges at some awesome prices.